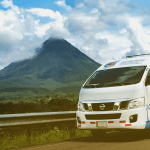 Planning your first trip to Costa Rica can become a headache, specially if you are trying to book a transportation service from Liberia Airport to your final destination. 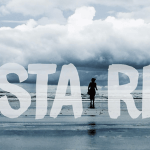 You make a quick search on your browser and all you see is hundreds of companies offering the same destinations, but you’re probably running out of time to compare them. If you are letting yourself go, reading reviews and listening to friends stories, you probably will end up more confused and insecure. Specially if you are traveling with family or a group of students, keeping everyone safe and comfortable as posible is something everybody wants. 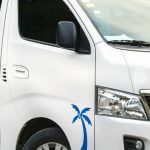 We invite you to check our different transportation services and pick the one that fits your needs. 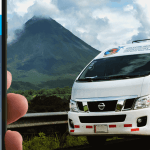 We are a 100% tico company, with all the transportation permits up to date, giving our clients credibility and trust since many years. 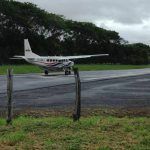 We have two types of transportation, just be sure you pick the right one before you get to Costa Rica. 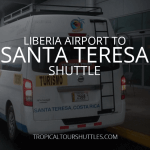 The first option will be a daily shuttle, nice-looking small buses equipped with A/C and comfortable seats, leaving Liberia Airport to Santa Teresa, Tamarindo, Nosara, Samara and Montezuma twice per day. 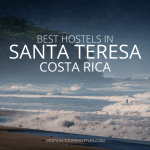 Pick a departing time from our schedule and we take you directly to your hotel or destination in Costa Rica. 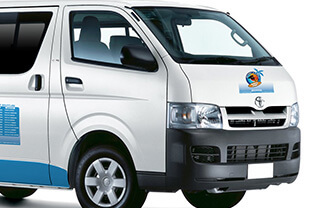 It’s a door to door service, this gives you the advantage of not carrying your heavy luggage through buses. Prices listed below are per person, and departure times are highlighted in light blue. For more information please contact us. 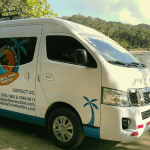 The second option would be a private transportation, you decide at what time you want to leave the airport or town nearby and we do the rest from there. This option is the most used among our clients because it saves you time and being tied to schedules. If you are traveling with friends or family, ends up been the best option. If your destination is not on the list, please check the inquiry form for more destinations.